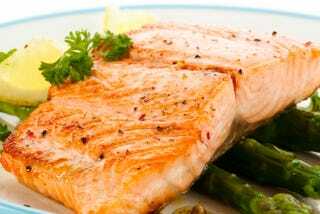 Good News: Alaskan Salmon Isn't Radioactive! Probably. Good news, everyone: Alaskan seafood is almost certainly NOT radioactive! At least, according to the FDA. "The testing found no detections of the Fukushima-related radioisotopes Iodine-131, Cesium-134, or Cesium-137," the statement said. "There was some detection of background or naturally-occurring radiation. 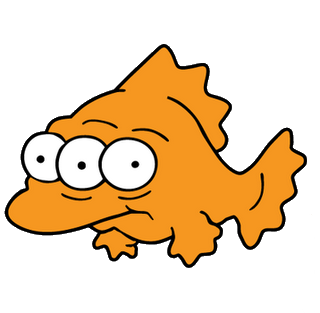 The results indicate no appreciable risk from any tested radionuclide in these fish." Interestingly, the locals are still somewhat restless: a citizen's group called Cook Inletkeeper is crowdfunding for the resources to go test the water themselves. As much as this might seem like simple paranoia, they're talking about "testing the water to compare it to a baseline condition," so at least their approach is sound. Also, given that fishing is a major part of Alaska's economy, it's not surprising they'd want to make doubly and triply sure they're not about to fish up a lesser-known Simpsons character. Usually when people reflexively disbelieve something the government tells them, there's at least a hint of the crazy in their response; while Cook Inletkeeper might be wrong, there doesn't seem to be any of the reactionary fervor you'd normally associate with people questioning what the government tells the American public. Even if there's no harmful radiation in the seafood (and it seems pretty likely there isn't — the FDA doesn't have a ton of incentive to lie about something like this), it's actually kind of cool that people are crowdfunding for more scientific testing rather than believing the fish must be radioactive because the Baby Jesus told them Obama is the Socialist Muslim Anti-Christ or something.